Taking slow travel to an unbelievable level, this British motorcyclist somehow got sidetracked and didn’t get home for over a decade. With no travel plan in place, he experienced the world with no set schedule or direction. And an event that you don’t want to miss, that inspires overland travel, educates in the necessary skills and resources, with a motivating and informative trade show for explorers from all walks of life. Posted on March 29, 2018 by Elizabeth Martin and filed under Adventure, Life on the Road, Travel, World Rider and tagged Overland Expo adventure travel motorcycle travel overland travel Overland motorcycle motorcyclist motorbike biker rider adv adv rider rtw adventure travel slow travel Ian Coates Roseann Hanson Jonathan Hanson 2018-a Max BMW BestRest Products Cycle Pump Green Chile ADV Motobriiz Ofgrid Moto IMS Products motorcycle podcast moto podcast motorbike podcast adventure podcast. On an 8 month trip from South Africa to Ireland, Christopher Venter fell ill and had to return home to get medical help. Once he felt somewhat recovered, he rejoined his group of friends on the ride. Then when he returned back to Cape Town, still feeling unwell, a doctor was finally able to diagnose him and the news he received about what was happening to him was something that would forever change his life. Posted on February 22, 2018 by Elizabeth Martin and filed under Adventure, Africa, Authors, Books, Travel, Scooters and tagged #BlindManCan Christopher Venter Blind Scooter Guy motorcycle motorbike moto biker rider adventure adventure travel motorcycle podcast adventure podcast overland traveler travel scooter 2018-a. Linda Bick, a folk music musician, has a truly inspiring attitude when it comes to travel. Linda recently returned from a 3 month trip to Uganda, where she dealt with the temperamental breakdowns of a mechanically challenged motorcycle, the loss of important personal items, challenging roads and more. An uplifting story of a woman adv rider traveling solo in Africa. Posted on December 21, 2017 by Elizabeth Martin and filed under Adventure, Africa, Authors, Travel, Women Motorcycle Riders, Yamaha and tagged motorcycle motorbike moto biker rider music folk music uganda motorcycle travel motorcycle trip travel adventure overland adventure travel adv arr rtw africa motorcycle linda bick linda bootherstone bick podcast motorcycle podcast 2017-b woman rider woman adv rider. A chat with motorcycle author and publisher, Mike Fitterling about what adventure is and the rejuvenating qualities of riding a motorcycle. He also shares his thoughts on travelling on a budget, using forums to plan accommodations, and more. Posted on November 16, 2017 by Elizabeth Martin and filed under Adventure, Authors, Books, Travel and tagged motorcycle motorbike biker rider moto adv adventure rider overland overlander adventure travel adventure travel road dog publications mike fitterling motorcycle books arr motorcycle podcast motorcycle radio motorcycle ride depression max bmw bestrest cycle pump green chile adv motobriiz ims products 2017-b. Daniel Rintz and Joey Flohr have recently completed a 3 year motorcycle adventure, and are putting together a film about their journeys, a sequel to Daniel’s first film “Somewhere Else Tomorrow”. In this episode, Daniel shares some great tips on making money on the road, travelling in Africa, and more. And Duncan Johnson from African Overlanders talks about getting your motorcycle in to Africa. Posted on September 28, 2017 by Elizabeth Martin and filed under Adventure, Adventure Bike, Africa, BMW, Border Crossing, Couples Riding Together, Films, Life on the Road, Long Distance Rider, Travel, Travel Tips, World Rider and tagged Daniel Rintz motorcycle motorbike biker rider ADV BMW motorcycle Africa motorcycle Africa Somewhere Else Tomorrow adventure motorcyclist motorcycle movie motorcycle film motorbike movie motorbike film African Overlanders arr jim martin podcast motorcycle podcast overland overlander adventure adventure travel travel motorcycle adventure motorcycle travel motorbike travel motorbike adventure 2017-b. Cool, Comfort or Crash: How Effective is Your Motorcycle Jacket? | Where Do You Put Your Helmet? Recently returned from his sixth trip around the world, Dr. Gregory Frazier has a chat with Jim about where he hangs his hat, or rather, his helmet. And David Hough discusses motorcycle jackets, are they for style, comfort or crash protection? Posted on September 21, 2017 by Elizabeth Martin and filed under Authors, Travel Tips, Tech Tips and tagged motorcycle motorbike moto biker rider overland overlander adventure travel adventure travel adv rtw adv rider 2017-b dr gregory frazer gregory frazier jim martin david hough motorcycle jackets atgat crash protection david l hough proficient motorcycling max bmw bestrest cycle pump green chile adventure gear green chile adv motobriiz ims overland expo. What would it be like if you couldn't just turn on your computer and ask google all the questions you want to help plan your trip? And what if in the 1980's it was so against the norm for someone to set out on a long distance motorcycle trip, let alone a woman? Would you still have the nerve to ride around the world? Posted on August 24, 2017 by Elizabeth Martin and filed under Adventure, Authors, Books, Long Distance Rider, Travel, Women Motorcycle Riders and tagged motorcycle motorbike moto adv biker rider rtw overland overlander adventure adventure travel motorcycle trip motorcycle travel elspeth beard lone rider woman rider motorcycle podcast podcast jim martin road trip long distance rider dave calderwood motorcycle book bmw motorcycle 2017-b. Inspired by a Facebook post, Brent Carroll decided to get a motorcycle to do some adventure riding. After going to a Horizons Unlimited meet he was hooked on the idea of a long distance motorcycle trip, having met other riders who were travelling and exploring the world. 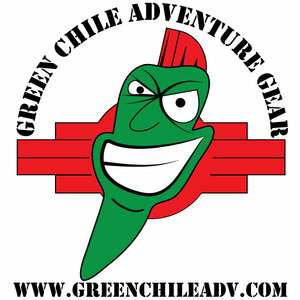 Posted on June 8, 2017 by Adventure Rider Radio Motorcycle Podcast & Radio Show and filed under Adventure, Long Distance Rider, Pan American Highway, Planning, Rider Skills, Travel Tips, Travel, Tech Tips, Training and tagged motorcycle motorbike travel travel tips motorcycle travel motorcycle trip alaska to ushuaia trans canada overland hubb horizons unlimited adventure brent carroll bmw r1200gs rider skills bret tkacs riding lessons arr max bmw bestrest cycle pump green chile adventure gear ims products motobriiz podcast motorcycle podcast travel podcast adventure travel jim martin 2017-a. Sjaak Lucassen is a Dutch long distance motorcycle rider, adventurer and author. He's no stranger to winter riding and has some great tips to share. Posted on June 1, 2017 by Adventure Rider Radio Motorcycle Podcast & Radio Show and filed under Adventure, Travel Tips, Tech Tips, Winter Riding and tagged motorcycle moto motorbike motorcycle travel warm weather riding grant johnson horizons unlimited podcast motorcycle podcast motorcycle trip cold weather riding adventure travel sjaak lucassen jim martin arr arr raw adventure rider radio max bmw bestrest pssor green chile adv ims products 2017-a motobriiz motobird adventures overland motorcycle ride rider. Fear of travelling to some countries is instilled in us by the media, or people who haven't been but have heard about these places. Are we missing out on discovering different cultures and people because of these fears? Perhaps riding out of our comfort zone and in to these places will make us see things differently and change the way we think. Posted on May 11, 2017 by Elizabeth Martin and filed under Adventure, Africa, Authors, Books, Travel, Women Motorcycle Riders and tagged Motorcycle Motorbike moto biker adventure overland travel adventure travel overland trip motorcycle travel motorcycle trip middle east travel middle east motorcycle iran motorcycle oman motorcycle revolutionary road lois pryce rosie gabrielle motorcycle podcast jim martin 2017-a max bmw bestrest cycle pump tourusa ims products motobriiz green chile adv russian moto travel. Every now and again, we hear about motorcycle adventure stories, that have, well let's say a twist to them. So, how exactly do you tie in fruit or dice on a motorbike trip? This week Max MacGillivray and Isaac Simonelli share their unusual stories with us, and maybe you'll get some great ideas of how you can make your adventure a little different from the norm. Posted on March 2, 2017 by Elizabeth Martin and filed under Adventure, Africa, Long Distance Rider, Travel, World Rider and tagged Africa Motorcycle Adventure Moto Motorbike Max MacGillivray Isaac Simonelli The Great Fruit Adventure Dice Travels overland rtw motorcycle podcast Jim Martin Max BMW Bestrest Green Chile ADV IMS Products Russian Moto Travel 2017-a Adventure Rider Radio adventure travel. Tired of the cubicle job at BBC, in 2003 at 29 years old Lois quit her job and set out on a solo adventure riding her 225 Yamaha Serow from Alaska to Ushuaia. You can read about her adventures travelling to the southern most town in the world, at the tip of Argentina in her book, Lois on the Loose. Posted on July 2, 2015 by Adventure Rider Radio Motorcycle Podcast & Radio Show and filed under Travel, Women Motorcycle Riders, World Rider, Travel Tips, Adventure, Authors, Books and tagged motorbike adventure travel 2015-A lois pryce Adventure Travel Film Festival adventure travel motorcycle moto arr adventure rider radio rtw traveler traveller Lois on the Loose podcast motorcycle podcast jim martin biker sidecar. 4: Mondo Enduro - First Moto Adventure Film? Maybe..
Austin talks about his round the world trip which culminated in the film, Mondo Enduro. He also discusses his philosophy behind using only small displacement bikes on his trips, what worked and what didn't work for him and his motley crew on this well documented adventure. Posted on July 6, 2014 by Adventure Rider Radio Motorcycle Podcast & Radio Show and filed under Adventure, Motorcycle, Small Motorcycles, Training and tagged motorcycle yamaha 2014-A motorbike moto adventure travel adventure Mondo Enduro Austin Vince adventure film Yamaha Offroad Experience Dylan Jones jim Martin Motorcycle podcast motorcycle movie motorcycle film.